The Show is about the Future. The Story Behind How Technology Could Shaping Our Lives Easier. I'm Julianne I was I'm American so I was born in the US and grew up in the Midwest. I've lived in a lot of places now, so I grew up in the Midwest lived in California, studied in San Francisco and made films there. Then I moved to Vietnam actually for four and a half years, I made a documentary film and worked with the communications department of the WWF in Vietnam then I moved to Berlin. I had been working in Vietnam and had a pretty decent career going but when I moved to Germany, I had to start from the bottom again because I didn't speak German. In the end, I ended got a job at a startup that had to do with coworking so we researched and wrote a lot about coworking. That's how I discovered the whole coworking world. That was in 2011, though a startup doesn't exist anymore, in the time that I was there I got to visit many spaces around the world. I have a friend of mine had this idea. He is a film editor and he told if I need to work 18hours, I'd rather be in the countryside so I can just focus but at least enjoy the summer. He and I were at the time developing an idea trying to come up with a business idea with my partner, my boyfriend partner. We were like oh that's a really good idea. Then we did some research, then realize would take like millions to set up with the technical stuff. We thought, actually everybody could do this then I started thinking about coworking and helping how people are flexible with their work. We expanded the idea to include anyone who can be flexible with their work. Be able to come to Coconat. Basically, a place for people from the city to go to the countryside, to focus and we would take care of all of the rest. It expanded quite a lot. We started to think about the environment that people are working in and how they get different types of inspiration. The environment also about the effects of nature on the brain and productivity. We even thought further after some time we visited Bali and went to space there. It was a few years ago before Roam. We've been working on this idea for four years. The name Coconat means the community and concentrated work in nature. We thought of the name in Europe and we thought oh it's nice because it makes you think of coconut that we plant. Then we went to Asia, where there are lots of coconuts and the name was kind of funny in a different way. In Bali we got to know more about digital nomads, we think about people from the city going to the countryside. We think about people from the world coming here and having a place where they meet like-minded people. We also think about the people who live here, who grew up in this in the countryside. To do some community outreach. In Germany in this area, there's many it has a very high unemployment rate. We want to expand more than we had now. [L] Is it mean you want to open up job recruitment? Not exactly. We would like there to have some interaction between the people who are using computers and digitally literate. Have some workshops and other things with people who don't use computers. Have never been trained. Because there's a bit of fear if people did not learn to use technology. We want to make that border go away. Many people from here, they do hand work and there's less and less hand work. [L] You mean by sewing or wood working? I mean like building, or farming. There's industry wise, there are not so much industry jobs. There are not many factories opening now in this area so there's not much hand work job. People tend to think, if you use a computer it means that you've gone to university and you have a degree. They get a little bit self-conscious about it so if we can make them not feel so self-conscious then they're not afraid. [L] Where exactly located? near Berlin. We're one hour outside of Berlin. You can take the regional train. Well for us, I mean the idea started for people from the city to get away from the city for a while. Most people who come are 75% from Berlin, Germany like other big cities. They come here to get away and get a new inspiration. On the other side, there's coliving that isn't the cities. Recently I had a big talk with some other people who have projects in coliving. We identified two groups of spaces, one you have spaces that are in the cities and urban centers. They help people who either are just moving to the city or who want to be flexible. We'll spend some time like a short term shared flat. People usually stay for at least three months. In the second kind of type of Coliving is like a destination based. Meaning, people travel because of the coliving place not because of the city. They go there for another reason. The other thing that I learned with coworking is that people like being around with other people. They are more productive and enjoy being around people who are living a similar lifestyle. The people who come especially digital nomads that come I mean it's nice to be here because they don't have to explain why they're on their computer all day because they're not on vacation. Actually, this is their life. They work and they travel but they have to do the work also. You don't want to be if you're in a hostel when everybody around you thinks that you're a strange person. Who always on the computer and not going out and enjoying the city or the view. You don't have to explain so much and you can also have a more productive exchange or more valuable exchange with the people here. A place where everyone living the same lifestyle or here for the same reason. Between 25 - 45 years old, with most being in their thirties. Actually, we've got a pretty big range of people. We have students it would be more like we have people who are finishing upper-level university papers, researchers, Ph.D., Ph.D. candidates people finishing their master's degrees. We have writers, people writing books. We also have startups, small groups of people who are working on their new business. Digital nomads so they're independent workers usually. so far we haven't had a an employed digital nomad but they but they exist I've met I've met many of them along the road. We even recently had the the managing directors of of a pretty good big internet company so a pretty big international company the CEO and CFO which we had imagined what happened in the future and that we just opened in May. We were pretty surprised that this already happened but it happened and it was nice it worked. I mean in general like the concept is pretty new. There's not many places that exist that are like us. There's a few in the world that are the sort of destination coliving place. What we offer is a place that's relaxing and nice to be in. We have a beautiful location. Normally the internet works really well, it's just in the last few days it's very frustrating. But we work we're working on it. It's a clear this is like a priority. In Germany and the countryside internet is not always available. It's very rural but it shouldn't be so difficult. It's a priority for us that the internet works well. We also offer which is also difficult here in the countryside. We offer food so we make sure that people eat. We prepare the meal. Most people don't stay too long. The longest we've had someone stays for one month. One of the things that we like to do is to make sure that people meet each other and so we eat, lunch and dinner together and we prepare the meals and breakfast. [L] The price could be one single price including the hospitality and events or workshop? We haven't hosted very many workshops. We have been externally organized workshops. We take care of the food in the workspace and we usually would have a external person who prepares workshops for their community. They bring them here so they put an extra. They put it their price for their workshop and we have our price. We work together with the organizers to make everything in one package. They take the money for their workshop and we take the money for the place. [L] How much it cost for one month or one week stay? Well it depends on how you sleep so I mean if you stay here for one month and including food that could 1800 euro every day for the workspace and the sleeping. You have a private room so you're also able to have a double room and share with a friend or we also have shared rooms so that it's more like a dorm. You can cook for yourself. That's kind of the top price. We are from a bootstrap company so we also think about other people being bootstrappers. 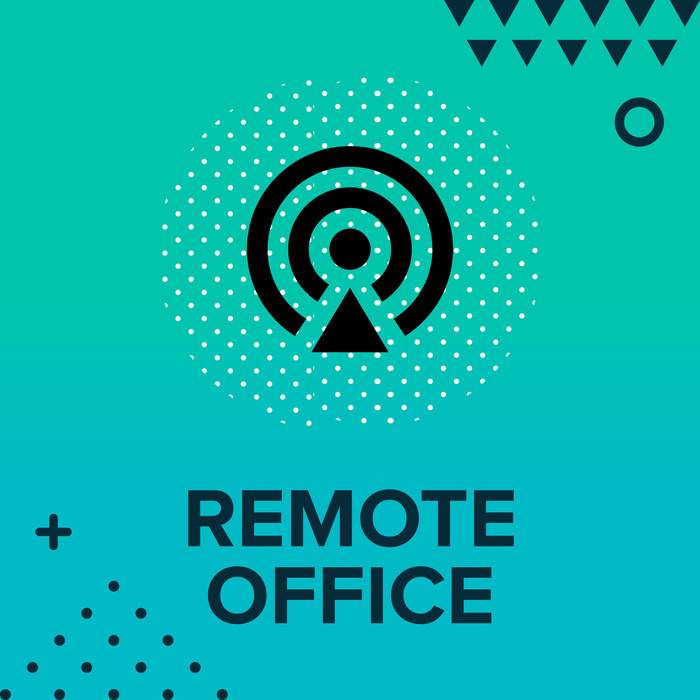 The other coliving that you see popping up now especially in cities and like Roam that you just mentioned actually are coming from a completely different background of real estate management and real estate development where there's a lot of money. It's a different kind of business and they focus on the different market. Our focus is to have a diverse community of people here. We have different pricing categories. we want everyone to come. We don't want if it's if it's too much money for you we want to find a way that you can still come. We're open all the time. I've been working on this project for four years so I've done a lot of different things. 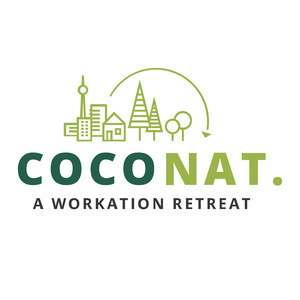 I work closely with Coworking in Europe. Often I would organize the bar camps for coworking Europe so I've been very visible there. I also partner with about ten co-working spaces in Berlin so my fliers are there and they tell people about us. We have a special arrangement and I think the most significant thing that we've done is that when we've been building and getting ready to open the place, volunteers come to help us in exchange for vouchers that they can use later. We did a pilot 2years ago, 70 ppl come there and we did a renovation this spring we had 80 ppl come. I think this is the biggest push for us. When we're still getting ready come and they get to know the place really well then they feel a part of it. They also tell your friends about it. Here in Klein Glien in the village, we have more buildings to develop. We will build some kind of studio space maybe artist studios or Fab Lab. We're still developing the ideas and more sleeping possibilities as well. On the bigger scale, we're working on strengthening the network of spaces like ours. Places that are located in rural areas that can add value to the region that they're in. I am working to connect these projects and find a way to help everyone promote each other and share best practices. Maybe if there is a hotel or another type of business that would like to change their market that's interested in doing something new, we can share best practices with them and bring them into the network. That's a big project that I'm working on in just the beginning. We've been working on the project for four years. Nothing new or I would just say invite anybody to come here and get to know us in the community. We're having a really good time. It's been really fun and we have a lot of people coming. You always meet interesting people when you're here.